In 1955 Frank Lloyd Wright developed a line of home products specifically for people who didn't live in one of his homes. 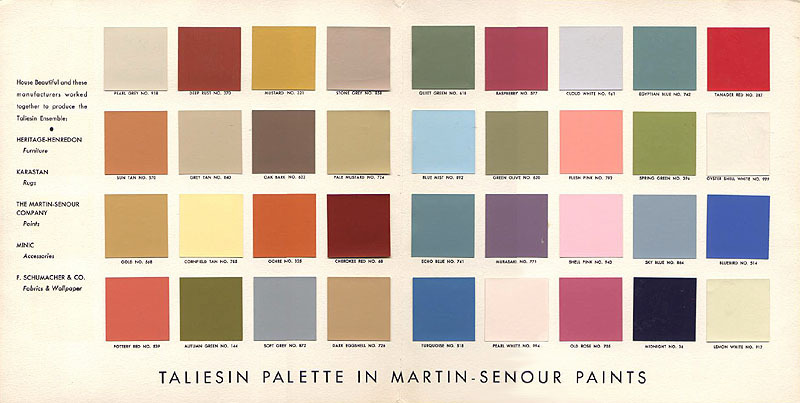 It included furniture, fabrics, rugs, wallpaper and a selection of 36 paint colors from the Martin-Senour paint company. 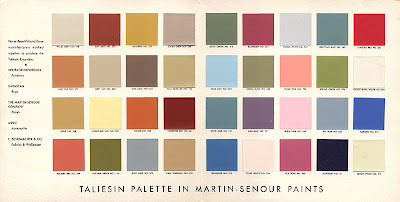 Searching at Martin-Senour's site, it doesn't look like the carry these colors anymore. But they might make for some good inspiration. Thank you. And thanks for reading. I'll do my best to keep inspiring. PPG Paints has revived this line of colors. It looks slightly expanded with some lighter shades included. See https://www.ppgvoiceofcolor.com/collections/frank-lloyd-wright/the-original-taliesin-color-palette-from-1955 for the list. They also have the color palette for the Falling Water home. 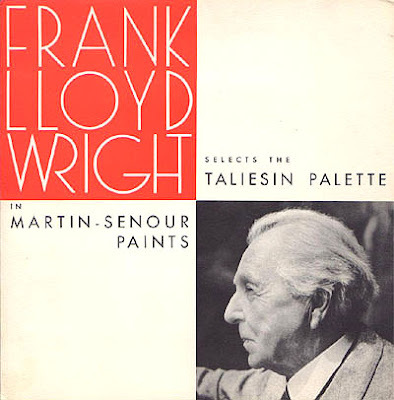 Both are linked from https://www.ppgvoiceofcolor.com/collections/frank-lloyd-wright.